There's just one shopping day until Christmas! Fred is so wrapped up in his acting debut as Scrooge in the Bedrock production of A Christmas Carol that he's completely forgotten to buy any gifts. And worse, he's left baby Pebbles stranded at Cave Care Center! But wife Wilma and a few familiar ghosts perform a true Christmas miracle, helping hubby Fred remember the true meaning of the season. Join Barney, Betty, Bamm-Bamm and Dino in this hilarious, stone-age version of the magical holiday classic. This is one I surprisingly don't remember ever seeing before. But it is a fun Christmas special. Well worth the time put in to watch it. Fred is such a natural as a department store's Santa that news of him reaches the North Pole, where Kris Kringle has him in mind for much more important work on Christmas Eve. This is a bonus episode that is on the disc with "A Flintstone Christmas Carol." I am glad they put this episode on the disc as I have not seen it in years and I enjoyed it even more then the main feature of the disc. This is an episode I can see watching every year for my Christmas marathon. This is one I forgot about for the longest time. Had it in my collection for about 3 years before I finally got to watch it. It is one that was recommended by my daughter. For some reason I went into it a little hesitant... but in the end I found I enjoyed it quite a bit. It is really a fun film... but it also has it's share of action. I liked the different takes they did on all the different legendaries. At first I was a little taken aback with this Santa... but he quickly grew on me. This is definitely a film I am comfortable recommending. Santa's tired of his responsibilities and is readhy to pass on the reins to his daughter Mary (Jenny McCarthy), who is torn between the family business and her own firm in New York City, and balaning the love of her life. The situation gets dire when a disgruntled former elf tries to take over Christmas. While still enjoyable... this one wasn't as good as the first one. I was sorry to see they replaced George Wendt as Santa.But from what I could tell the rest of the cast from the first one had returned. It is fun enough that I can see myself watching it each year... but won't be one of my favorites. Jeff Dunham invites Walter, Peanut, Bubba J, José Jalapeño and Achmed the Dead Terrorist to join him on his first holiday special. Unfortunately, his suitcase posse doesn't quite share the same Christmas spirit—and the result is a one-of-a-kind live event unlike any yuletide celebration you've ever seen! Dunham whose first two television specials drew record ratings, multimillion DVD sales and over 200 million views on websites worldwide, brings together all-new material and, for the first time, original songs and stories guaranteed to become instant classics: from Achmed's "Jingle Bombs" to Bubba J's "Roadkill Christmas" to Peanut's version of "The Night Before Christmas." Destined to become a treasured holiday favorite! This has become a yearly tradition for me. This guy is just freaking hilarious! I really liked all his characters... my favorite is a toss-up between Achmed and Peanut. I wasn't expecting to like a ventriloquist as much as I liked this one but this Jeff Dunham special is just filled with laughs. The show is as good on multiple viewings as it is the first time you seen it. If you never checked this guy out before... I highly recommend it! In this hilarious holiday comedy, Arnold Schwarzenegger stars as a frantic father trying to buy a Turbo Man action figure for his son on Christmas Eve — unaware that it's the season's hottest-selling toy. So begins a take-no-prisoners battle involving a stressed-out mailman (Sinbad), a sleazy mall Santa (Jim Belushi) and dozens of other desperate dads! This is one I haven't watched in a few years. It is one I enjoyed quite a bit. Lots of fun Christmas mishaps that makes it entertaining from beginning to end. While I wouldn't say it is my favorite holiday movie... it is one that remains entertaining after multiple viewings. Definitely worth the time put in to watch it. Experience the true magic of the holidays with Disney's original hit comedy, The Santa Clause, now available on Blu-ray for the first time in a new digital restoration with enhanced picture and sound. Superstar Tim Allen sparkles in a hilarious family movie for all ages. On Christmas Eve, divorced father Scott Calvin (Allen) and his son Charlie discover the current Mr. Claus has fallen off their roof. When Scott dons Santa's suit, he unwittingly triggers "The Santa Clause," and they are immediately whisked away to the North Pole to take on the role of jolly old St. Nick. 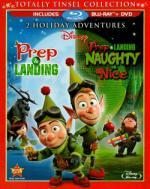 Relive all the joy of this holiday classic in a whole new way in Disney High Definition! This has always been one of my favorites. I have watched it every year since it came out. But this is the first time I got to see it on Blu-ray... as I just got the upgrade. In my opinion... tis is a film everyone should watch at least once. I think it is a fun film for everyone in the family. Highly recommended! The Night Before Christmas is a 1933 American Pre-Code animated short film produced by Walt Disney Productions and released by United Artists. Part of the Silly Symphony series, the film is an adaptation of Clement Clarke Moore's poem A Visit from St. Nicholas, popularly called The Night Before Christmas. 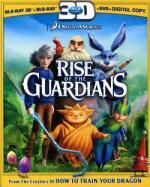 The film was directed by Disney animator Wilfred Jackson. St. Nick is seen delivering the toys that he made in Disney's Santa's Workshop (1932) to a house full of sleeping children. The toys come alive, and they dance around and have fun. The kids awake to find a beautiful Christmas tree with lots of toys. 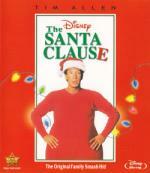 This is an extra on the blu-ray of The Santa Claus. It is cute enough that made it worth the time put in to watch it. But nothing all that special. Just an average animated short from way back when. Do you remember when... Rudolph visited the Island of Misfit Toys, and Santa asked Rudolph to guide his sleigh on Christmas Eve? Share the magic of this Original Christmas Classic told and sung by Burl Ives! This was THE Christmas special when I was a kid. It was the one I searched for in the TV Guide, eagerly making sure I had control of the TV for that hour on that day. But all three generations of our family would gather round to watch. I haven't missed a year since the 70's, and this still holds up perfectly. The blu-ray has beautiful color and clarity, and is well worth the upgrade for those who still have this on DVD. On Christmas Eve, a high-tech team of elves from an elite unit known as 'Prep & Landing' ensures homes around the world are prepared for Santa's visit. But when two hilarious little elves face unexpected challenges and are pushed to their limits, it'll take a great big effort to save the season. Enjoy a heartwarming holiday classic sure to make everyone's Christmas list! The outrageous yuletide adventures of Christmas elves Lanny and Wayne continue in this totally tinsel adventure that reminds us there's room for everyone on the 'nice' list. Santa's stealthiest little elves must race to recover classified North Pole technology, which has fallen into the hands of a computer-hacking naughty kid, in order to stop Christmas from descending into chaos. Bring the family together for a comical adventure that puts the Ho, Ho, Ho in your holidays! This is a modern Christmas classic for us. I love this little special, from stressed-out McGee, to hyper excited Lanny, to cynical Wayne discovering the joy of Christmas again, to Tiny, who manages to have a character despite only seeing the top of the hat. Perfect watch every year for the season. Much as I love the first Prep and Landing, I think I actually like this one a little more. I really like the story of Wayne and his brother, and the coal elves are such fun characters (especially Carol). Like the original, this is another modern Christmas classic for us, and I'd recommend it to anyone. Cute, short cartoon of Wayne & Lanny helping out Mrs. Claus. It's a neat little mission snapshot, and you can watch it in the special features of the blu-ray if you're a fan. Cute, short cartoon in the Prep and Landing universe featuring the struggles of the shortest elf in her quest to make coffee for McGee. Watch this in the blu-ray special features if you're a fan. In this seasonal Charles Dickens' tale, the bumbling and lovable Mr. Magoo is Ebeneze Scrooge. Remember the hilarious and heartwarming story of how Mr. Scrooge transforms after a visit from Christmas past, present, and future. 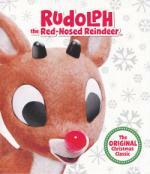 This Original Christmas Classic is a must-have for the holidays! Not the worst version of A Christmas Carol that I've seen, but close to it. If Mr. Magoo doesn't make a bad version of Scrooge, the reordering of the ghostly visits, and the elimination of Fan and his nephew sit hard with me. There's also a lot of music for as short as this special is. I love musicals, but there's a need for more story here, and less razzleberry dressing. Overall, I'd say this is more for fans of Magoo than fans of A Christmas Carol. As far as cartoon versions of the story for kids, Mickey's Christmas Carol is much, much better. The concert features timeless holiday favorites (Silent Night, I'll Be Home for Christmas, It Came Upon a Midnight Clear, Joy To The World) with the group's signature Celtic Woman flair under the distinct musical direction of Emmy-nominated Music Director, David Downes. HOME FOR CHRISTMAS- LIVE FROM DUBLIN is a visual and aural feast under the direction of Russell Thomas and filmed at Dublin's Helix Theatre. Complimented by Ireland's finest musicians comprised of a 36 piece orchestra and 40-member Philharmonic Choir, this large-scale one-hour production promises a festive and moving celebration of music to be cherished by generations. The Blu-ray also features 15 minutes of bonus material of intimate, acoustic performances to Away In A Manger, The Christmas Song, In The Bleak Midwinter and Have Yourself a Merry Little Christmas. 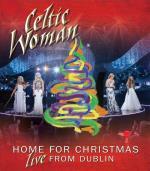 This is another lovely concert from Celtic Woman. I love Máiréad Nesbitt's fiddle. If I miss some of the members from 2007's Christmas Celebration, and if I do still like that one just a wee bit more, the new members also have beautiful voices. Recommended if you've enjoyed their music before, or just enjoy carols. A single Christmas tree becomes the source of cheer for the people and animals living around Mr. Willowby's estate. Based on the children's book of the same name. More Muppets and less RDJ than I was hoping, but this was still a fun Christmas special. The mice are actually the stars here, but Downey is having quite a bit of fun with his character and Leslie Nielsen garners more than one smile as the straight-laced butler who's sweet on the upstairs maid. I'd actually have rather seen more of those characters, and not only because I like Downey so much. Recommended if you're a fan of the Muppets, and don't mind watching a grainy version of this on youtube. Also recommended if you're a big fan of RDJ like I am, but you'll be disappointed by how little you see of him.